Following Manchester's murder detectives over the course of a year. The team's ongoing enquiries lead them to visit a homeless shelter, where another horrific crime comes to light. With unparalleled and intimate access, this four-part series follows Manchester's murder detectives over the course of a year as they try to unravel complex cases in dramatic real time. 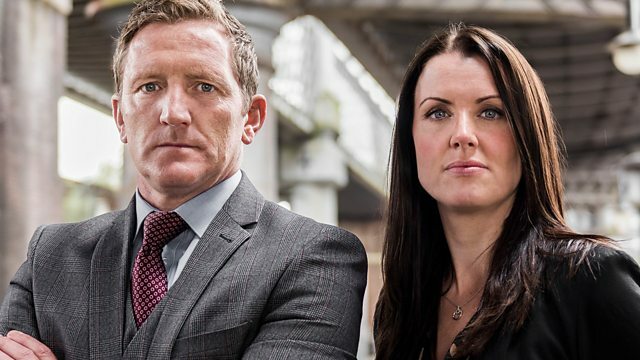 In this final episode, as detectives and family prepare for the trial in the murder of young homeless man Daniel Smith, the team's ongoing enquiries lead them to visit a homeless shelter in town. Whilst there, another horrific crime comes to light. A man has just confessed to staff there that he has murdered a student and the body is in student accommodation in the city centre. As the trial date finally arrives, detectives and family of Daniel Smith are together at court. With the two main suspects pleading not guilty the outcome is now in the hands of the jury. Find out more about the work of detectives with the OU.